Whether in the home or office, our Drinking Water Systems will provide you with endless clean, safe, and delicious water. 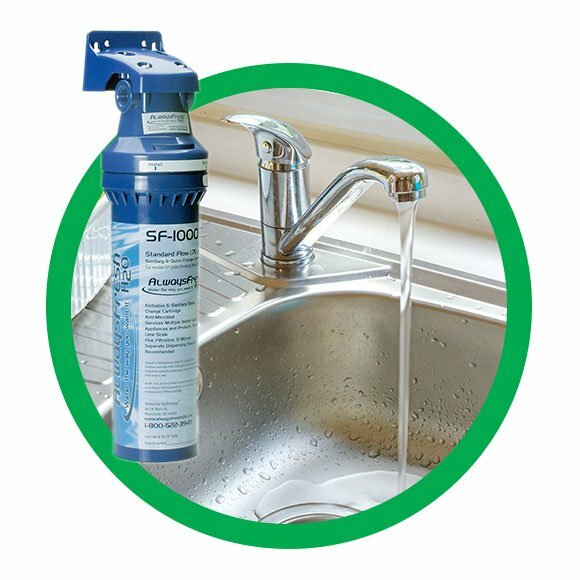 Call us today at 1-800-864-8957 or email us, and one of our filtration experts will be glad to help you discover which type of system is right for you! 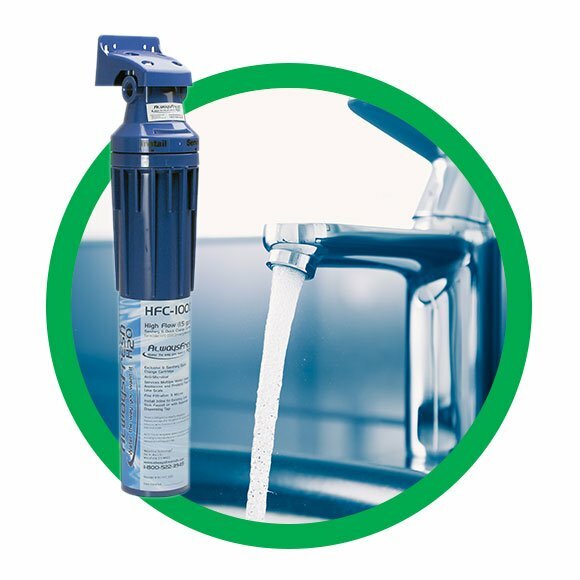 The HFC-1000 High Flow system will provide delicious tasting, healthful, crystal clear water directly from your existing cold sink faucet. Great installation for the kitchen/bath/bar/prep sink cold side of faucet. Your family will now enjoy the benefits of Water the way you want it for drinking, cooking, hot or cold beverages, rinsing fruits and vegetables, as well as, producing filtered Ice. The High flow rate coupled with the high gallonage capacity allows you to use one system for Filtering your refrigerator’s ice/water dispenser, instant hot tap, under-sink chiller, built-in coffee maker and/or another sink location…All with one system. 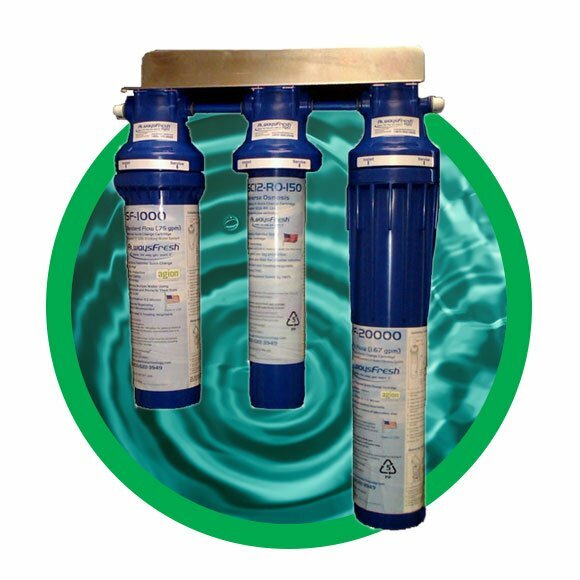 This is a premium filtration system that includes all of the benefits of the standard flow and high flow cartridges because they are included. Definition: Reversal of the natural osmosis process which plants use to remove nutrients from the soil with the addition of pressure.This process uses membrane technology with pressure placed on the untreated water side of the membrane. This creates a rejection (average of 90%+) of the very small dissolved contaminants (minerals & heavy metals)which are then flushed to a waste drain. A range of water going to drain versus produced drinking water is typically in the 3:1 ratio. Production is rated in gallons per day. Removal of these inorganic minerals lowers the pH and requires that the R/O treated water be plumbed with non-metallic piping/tubing to prevent leaching of heavy metals.